We now stock Earthwool Mineral Wool insulation offering improvements in terms of feel, handling and environmental performance from traditional mineral wool. Earthwool does not contain artificial colours or added formaldehyde, resulting in environmental credentials above a class of products already rated A+ in the BRE Green Guide. 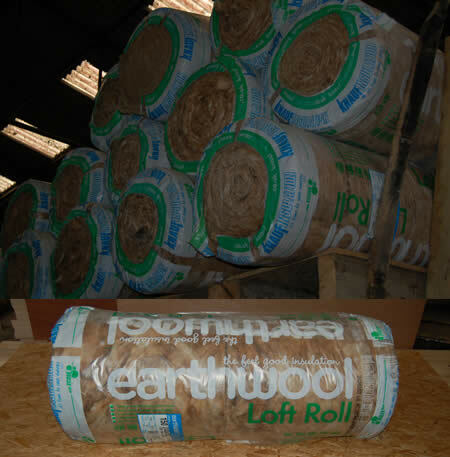 Earthwool is ideal for environmentally responsible and ‘formaldehyde-free’ specifications. No added dyes during manufacture allows Earthwool to return to its natural colour of rich, earthy brown. Earthwool still delivers all the benefits you are used to from traditional mineral wool. The same outstanding sound absorption properties help reduce unwanted noise. The same high levels of thermal resistance and superb energy efficiency. Still non-combustible with an unbeatable A1 fire classification. Made with recycled materials and can be fully recyclable at the end of its life. We can supply a complete range of insulation products and work closely with our supplier who has a wealth of experience and knowledge and can help advise you of the best option for your particular project – just call us on 05 45 30 72 04 for more information.